Perfect Source is a solar company that was established in the late 90’s in Taipei, where the main offices and production plants are also located. However, part of the production process takes place in Germany, thanks to Solarnova, one of the most renowned European solar manufacturers. The company operates in a fully vertically integrated system, allowing them to manage every phase of the production cycle, from the design to the actual manufacturing stage, from the marketing to the installation phase. Perfect Source specializes in the design and development of several high-power (from 200 to 250Wp) monocrystalline and polycrystalline solar panels that are suitable for a variety of applications including rooftop power generation, remote location power generation, street solar lamp posts, and many more. Every PST product is TUV Class A standard (+/- 3%), ISO 9001 14001 and UL 1703 compliant and the company itself is ISO 9000-2000 certified. 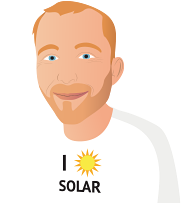 If you want to find out more about Perfect Source’s line-up of products, read the reviews here below from customers who bought their PV panels in the past, or take a look at the solar products listed on this page to find the ones that best meet your needs and requirements.